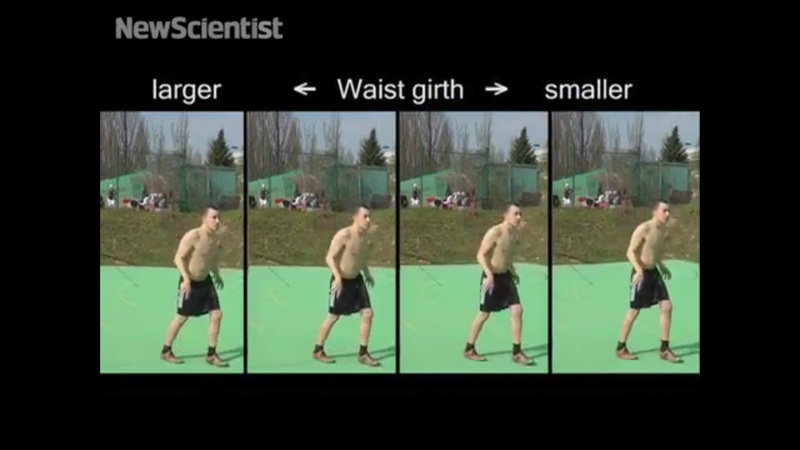 A German group has developed software that can make actors appear thinner, fatter, taller and even more muscular on screen. In what could be a massive breakthrough in movie making, or a step towards the decline of Western society, researchers at Germany’s Max Planck Institute have developed MovieReshape, a software program that can alter the images of people on the film in order to change their body type. The software will be able to take an existing image and manipulate the image already filmed. So, if a person is on film without a shirt, the software could make that actor appear far more muscular, or make them taller, shorter or even heavier. It could also change the physical features of a person’s face to create an age effect, similar to what the special effects technicians did with Brad Pitt in The Curious Case of Benjamin Button. The software is still in development, and will not be officially debuted until Siggraph, the computer graphics conference in Seoul, South Korea that takes place in December. “What would take days using conventional SFX software our model can do in a matter of hours.” Christian Theobalt said in an interview with the Hollywood Reporter. Theobalt also claimed that the software will save costs in any instance where special effects can be employed, including in commercials, where one ad could be filmed, then the actor’s body-type could be manipulated to meet local “standards of beauty”. The researchers have not yet reached any deals with private companies, but that is sure to follow. The software opens up several interesting possibilities. It could offer roles to people that would otherwise be overlooked because of a physical difference between the actor and the character. On the other hand, it could also lead to impossible standards of physical beauty. Time will tell.